Using the pliers, cut off the button shank as close to the base as possible. If a small snag remains you can use sand paper to remove it. Squeeze a small amount of E6000 onto the back of the button and apply a flat tack. Leave face down and allow to dry over-night. 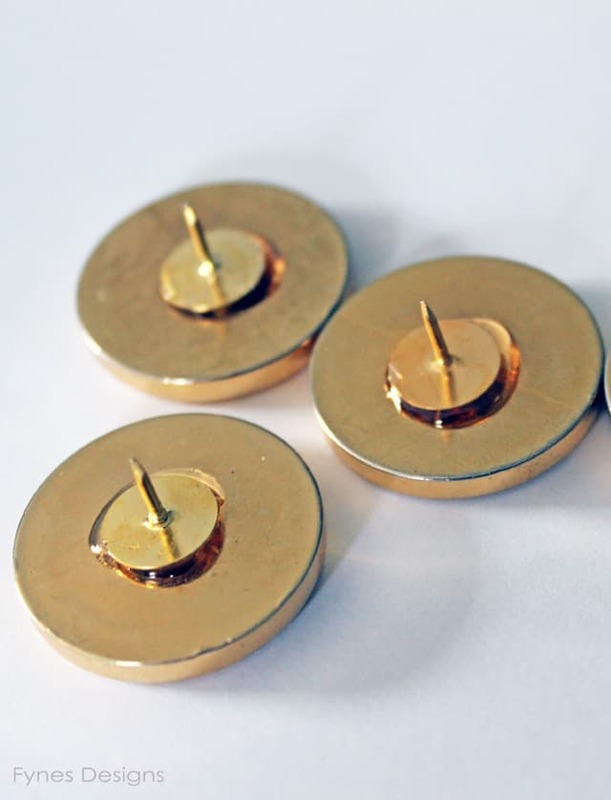 These sassy thumb tacks can brighten up any cork board! Use them at home, school, or the office…tacks have never been so chic!